Since 1997, Scott Weidenfeller has focused on helping the most seriously and permanently injured clients. Medical costs necessitated by negligent healthcare can be overwhelming for many families. Unfortunately, governmental programs and even many private healthcare companies do not provide adequate coverage for these necessities. Scott is an effective, knowledgeable and persistent advocate for his clients who find themselves in this unfortunate position. Scott has tried cases in three different States and has personally recovered millions in compensation for his clients. His recent settlements include $7.5, $4.8 and $1.5 million dollars. Some of his most recent jury verdicts include a $1.215 million-dollar jury verdict in Macomb County; a $988,000 dollar jury verdict in Oakland County; a $1.17 million dollar jury verdict in Emmet County; and a $234,000 dollar jury verdict in Alpena County. He has been featured on the cover ofMichigan Lawyer’s Weekly and has spoken to many and varied professional groups about trial practice and communication. Scott also serves as a case evaluator and an arbitrator in negligence claims. 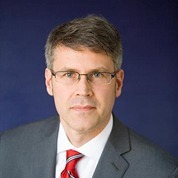 He is an Executive Board Member of the Michigan Association for Justice and has received Certificates of Appreciation for Federal Pro Bono work. Scott resides in Northville with his wife Lisa and his son Grey. He is a member of Gideon’s International and enjoys traveling, hiking and spending time with his wife and 3 children.